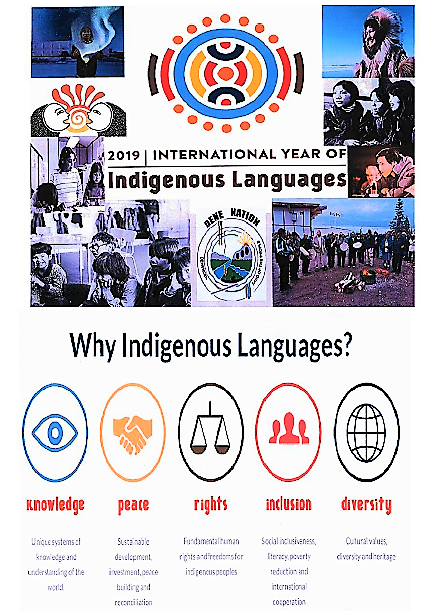 2019 is the Year of Indigenous Languages and in celebration the Dene National Office will be hosting an Indigenous Languages Luncheon on Friday, March 29th. Join us for food and speeches! Day School Settlement details announced in Ottawa. 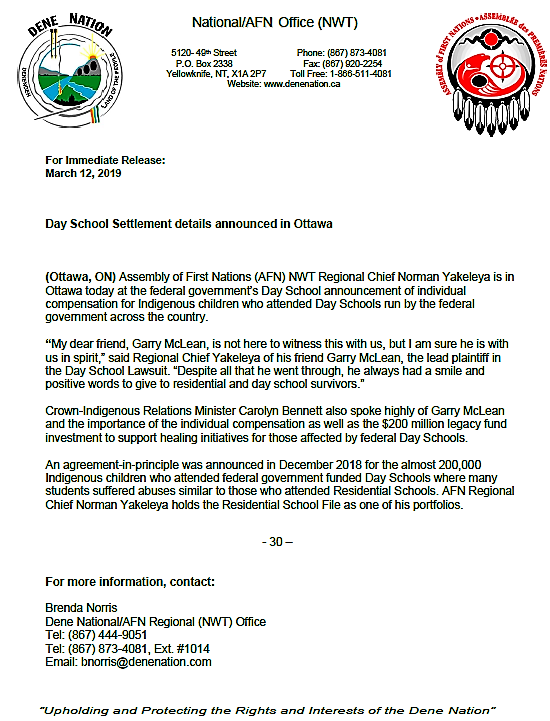 AFN NWT Regional Chief Norman Yakeleya is in Ottawa at the federal government’s Day School announcement of individual compensation for Indigenous children who attended Day Schools run by the federal government across the country. Dene Nation is seeking a mature individual to fill in the position of: Regional Survey Coordinator. The successful applicant reports directly to the Director of Denendeh Information Services in delivering a nation-wide survey for Dene Nation. A detailed job description is available upon request. Closing date: February 8th, 2019 at 5:00 p.m. If you are interested in this position click the link below to learn more. 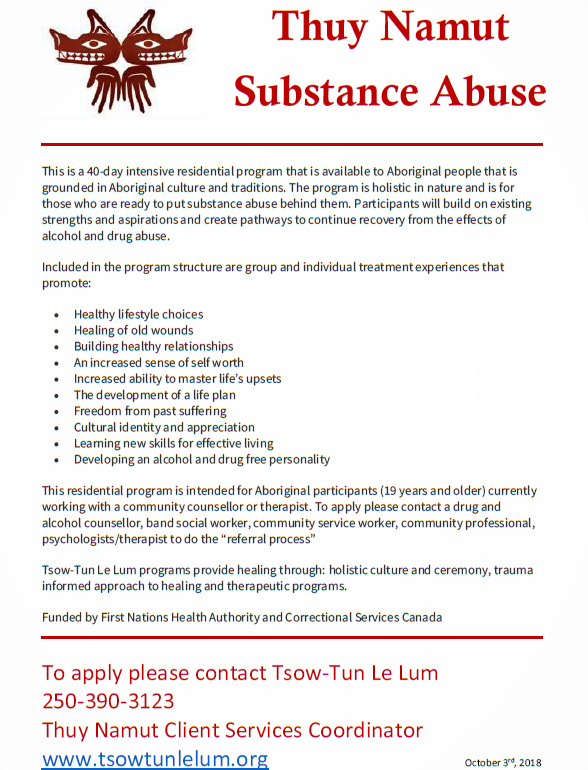 This is a 40-day intensive residential program that is available to Aboriginal people that is grounded in Aboriginal culture and traditions. The program is holistic in nature and is for those who are ready to put substance abuse behind them. Participants will build on existing strengths and aspirations and create pathways to continue recovery from the effects of alcohol and drug abuse. 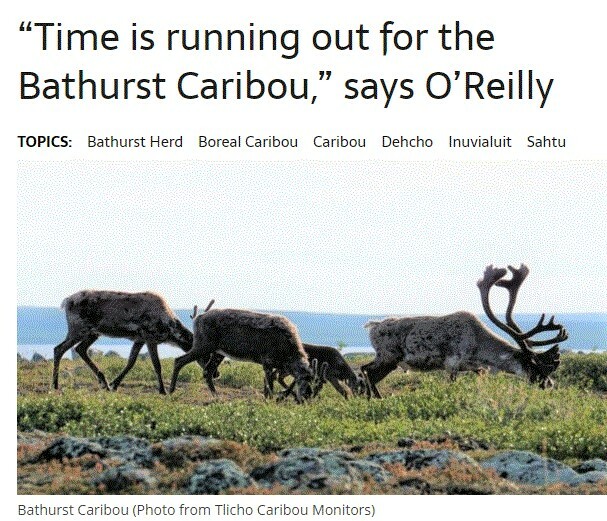 The Canadian Centre for Climate Services (CCCS) has released their new website that is designed to facilitate access to climate data and tools through features such as the new Library of Climate Resources and the interactive climate data viewer and extraction tool. The website provides access to all things climate, from climate basics through to data and resources that support adaptation decision-making.